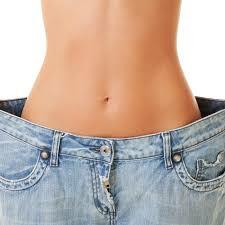 If you have struggled with weight loss in the past, you have most likely heard of Phentermine. Phentermine is a stimulant similar to amphetamine. It has a powerful side-effect of suppressing appetite. The typical dose of phentermine is 37.5mg by mouth 30mins to 1hr before breakfast each day. Because it is a stimulant it can cause you to stay awake if you take it too late in the day. Although Phentermine is tolerated well by most individuals, some people report increased anxiety and agitated states while on the drug. In these cases, lowering the dose may make the drug more tolerable. Using phentermine with other diet medications such as fenfluramine (Phen-fen) or dexfenfluramine (Redux) can cause a fatal pulmonary vascular issue called pulmonary hypertension. Do not take diet medications in combination unless cleared by your physician. Phentermine may be habit forming. Phentermine is a scheduled drug and must be prescribed by a physician. Never take or share phentermine. Phentermine should not be taken for long periods and typically 3 months is considered the maximum treatment time before a break period is instituted. Phentermine should not be stopped cold turkey to avoid unwanted withdrawal symptoms. Phentermine is a stimulant and some people have reported side effects which include restlessness, headaches, insomnia, dry mouth, upset stomach, decreased libidio. 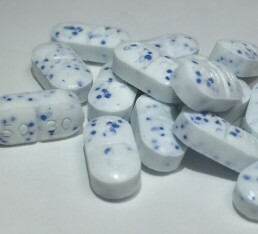 Certain antidepressants such as citalopram, escitalopram, fluoxetine, fluvoxamine, paroxetine, sertraline should not be combined with phentermine because of unwanted complications which can occur when the drugs are combined such as serotonin syndrome. Although there are many things to consider before adding a stimulant medications to help you on your weight loss journey, phentermine’s results have been good in carefully selected individuals. Phentermine is most effective when combined with exercise and healthy eating. If you have reached a plateau with your weight loss efforts, it may be time to talk with your doctor about adding a short course of Phentermine to your weight loss regimen.